ASICS GEL is one of ASICS’ most representative technologies. This GEL is a substance between solid and liquid that was originally applied to the safety belts and precision instruments of space capsules to protect the safety of the human body or to prevent the body to collide with precision instruments. Now the technology is mainly used in high-tech products such as submarines and body armor. In the 1980s, ASICS began to try to add this substance to sports shoes. With the perfect shock absorption of this damping rubber, ASICS achieved great success with this. 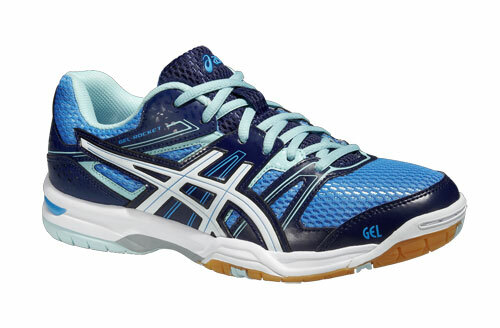 The ASICS Gel Rocket 7 shoes are part of the very popular Gel Rocket series from ASICS. This is on the 7th generation now and they are a big hit year after year because the price is right. When I heard ASICS was coming out with a gel Rocket 7 to replace the Gel Rocket 6, I was super excited because the gel rocket 6 was definitely one of my favorite ASICS shoes and that’s continuing with the Rocket 7. These Gel Rocket 7 are one of the more expensive shoes from ASICS and they work well for squash and also for table tennis. They have different flavors of these shoes depending on what country you are in. You can check them out at your local ASICS store. I will tell you a little bit about how these shoes can help you play your game. When I first put them on, I felt it was almost like a bend in a weird way. By the curving part of the foot, I felt like a little less flat for my foot. It gave me a little strange as well although I was comfortable when I played table tennis with them. It is featuring with high-performance technology such as NC rubber outsole for maximum traction. ASICS system that removes unnecessary weight in the shoe while maintaining structural integrity. 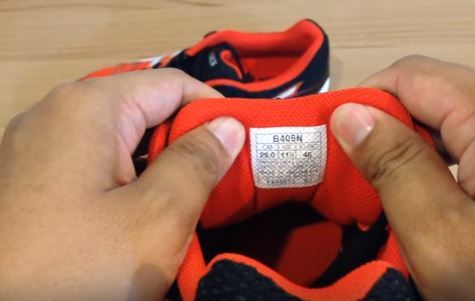 Right when I put it on my foot, I could feel the gel cushioning system. It’s just super comfortable right out of the box. There’s no break-in period when I stepped on the court with it. The NC rubber outsole was immediate. I could tell right away that I was going to get a lot of traction. Afterward, I had no pain or anything like my previous Adidas Essence which is a low-end shoe and playing with those shoes I really had some killing pain. After I switched to ASICS Gel Rocket 7, the pain simply went away. Something about the construction that suited me and I have been enjoying these. The shoes are quite light, It only carries a weight of about 11.2 oz or approximately 350g. That added a little extra stability, especially for lateral movements. The twisting of the shoe got a lot more stable added to your confidence in your game. The sole fit my foot correctly as they weren’t too big or too small. The only part that I could feel maybe in the midsection of the foot where it just felt they weren’t there. The forefoot gel cushioning that reduces shock during impact for smooth and comfortable play. These shoes feel great and play even better. This may be lacking a little of surface area where I could kind of feel that a little. So if you have an ankle problem then this probably wouldn’t be good for you. You might want to get some shoes that are a little wider in the midsection to prevent getting pain. The sole is very flexible with good mesh material and is reinforced by plastic bracing. I found these shoes are really comfortable and I am not surprised these are a popular model. For me, they are not too expensive for the price it asked for with the decent design that you can get. They just work pretty well for me. In terms of wear and tear when I drag my toe there is some scratching surface that I observed which happened after some time of wearing. I first thought the shoes might go to fall apart quickly, but it hasn’t been the case because I have continued to play with them many weeks after those scratching and it hasn’t really changed from where it was. I have heard people complained about these shoes in the past for not holding up their feet well. But personally, I found them to be holding my feet together well after a few months of wearing it. A lot of times we play on the dusty court was not a problem at all with this Rocket 7. Of course, it has a lot of meshes upper so it is a breathable shoe. All I can say is this is a breathable shoe that is super comfortable and has a lot of traction is always going to be the right fit for me. One of the biggest reasons why I love these shoes is because of how lightweight they are. You can move around the court really quickly. So you know you are not going to roll an ankle accidentally. Even though it is a lightweight shoe and being lightweight another thing I noticed was how breathable these shoes are. All the mesh on the upper really allows for maximum breathability which is great for me personally because my feet get really warm on the court. I was a Nike fan but because of playing table tennis; I need to get a pair of suitable shoes for that sport. I saw a 20% discount on the ASICS Gel Rocket 7 on an online shopping cart order and that was the first time I bought a pair of ASICS shoes. When I first put them on my feet, I didn’t expect it to be so comfortable. The package was very good and the sole support was solid. 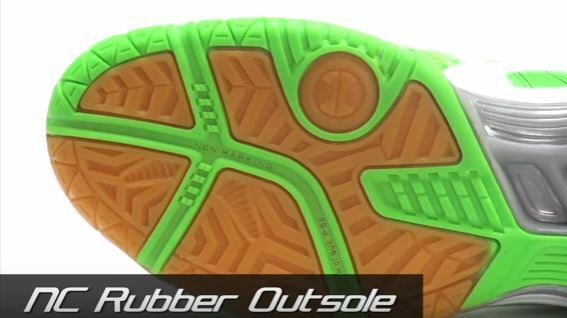 The sole is a rubber outsole which is definitely not as soft and elastic as running shoes. Personally, I feel that this shoe is not suitable for walking or jogging, but it is the best choice for indoor sports, such as playing volleyball, badminton, and table tennis. The only downside I found on this shoe is that it is a little sloppy. Overall, these are some of the most stable and breathable comfortable shoes I have ever worn for table tennis. I have used these for the last year. I generally agree with the review apart from in my experience they are not super breathable. The trainers are now really smelly – i never had the problem with previous Nike or Yonex court shoes. I recently played on a slightly dusty/muddy surface (a school gym by day). The traction was extremely poor and even after damping my sole was never happy with my grip – this may have been an impossible ask for the trainer but for my next purchase I will spend more and buy specific TT shoes. Decent shoe for the price – but don’t expect to last very long. Mine lasted ~ 1 yr after playing <2 a week. The mesh uppers tear easily near the folding spots.